Flip a coin. If heads, your opponent's active Pokémon is paralyzed during its next turn. Flip 3 coins. 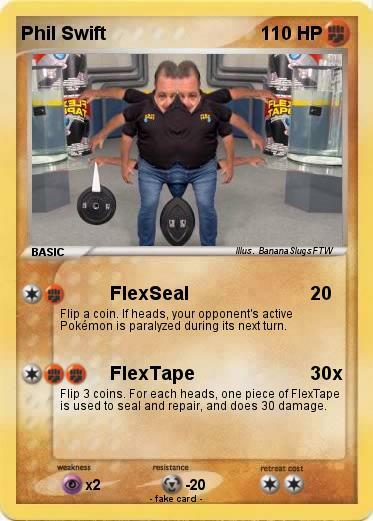 For each heads, one piece of FlexTape is used to seal and repair, and does 30 damage.